A Classic reel with adjustable friction drag or clicker type spool brake. 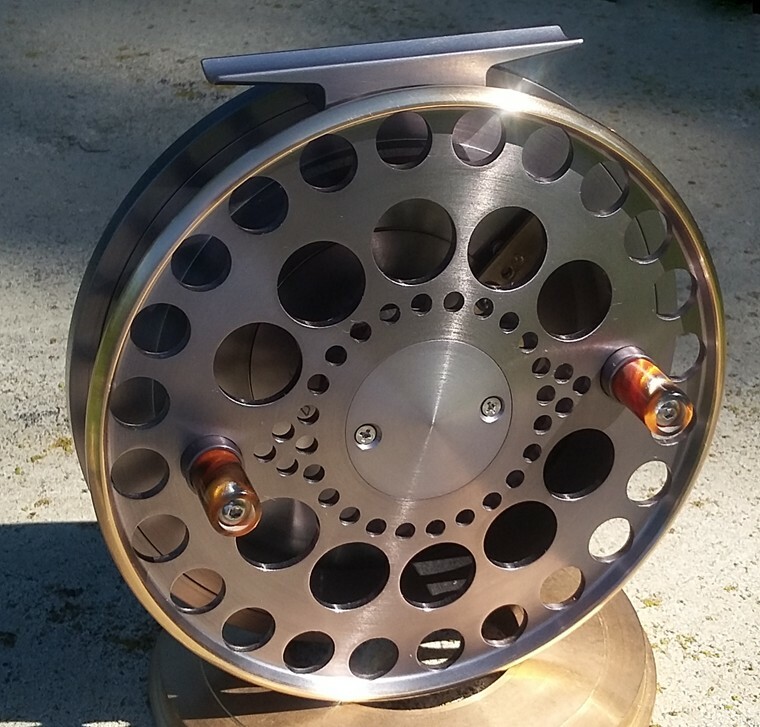 This reel can also be ordered for persons who prefer right hand wind. For right hand wind, the drag engagement lever is positioned on the opposite side of the reel so that it is toward the back of the rod for easy access. The friction drag version comes with an adjustment knob in the center of the spool face however a flush spool cap set-and-forget drag adjust is available. The clicker version has a flush spool cap with two screws. Reel Diameter: 4.6" or 5"
-Bronze palming rim and matching colour lever. -Nickel Silver palming rim and matching colour lever.